There is an urgent and imperative need to adjust to a new disruptive reality. What tools are essential for emerging leaders in this age of environmental, social, technological and political disruption? 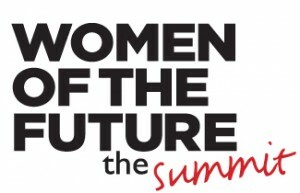 The Women of the Future Summit gathers together current and emerging leaders from across the globe, to discuss how it is possible to harness the power of disruption. We will explore how this power can be used to reframe and broaden perspectives, to drive innovation and to fuel success for the global tomorrow. Session one : Broadening our Understanding. This session brings world-leading experts together to add depth to our understanding of the disruption around us. By taking a step back to analyse the big picture, we aim to draw out trends and milestones that will make it easier for us to navigate the disruption in our individual fields. This session will explore the impact of disruption on each of us with practical tips on how cope with mental bombardment, understand those dynamics and achieve greater mental resilience. This session will bring together inspiring stories of individuals who have successfully navigated their own changing, disruptive landscape. Through understanding their stories, we can see how we too can shape the world around us to achieve impact. This session will bring together four inspiring stories of individuals who have successfully navigated their own changing, disruptive landscape. Through understanding their stories, we can see how we too can shape the world around us to achieve impact.